The 2019 Indoor track season is in full swing! The first meet of the year is in the books, and we now have the first stats of the year. The LSU HS Classic showcased some talented runners this past weekend. 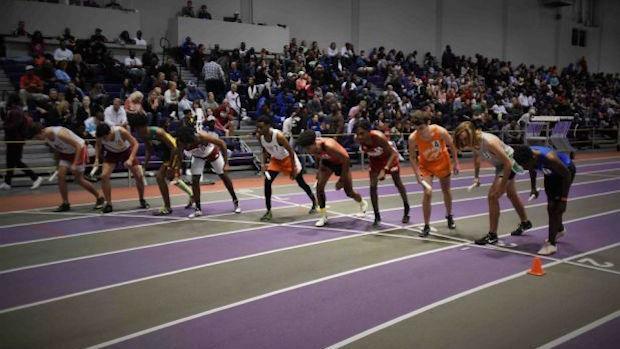 While clubs from other states were allowed at the meet, Louisiana runners and field athletes held their own against the talented track clubs. Let's take a look at the highlights from January 5th. In the field events, Deandre Keller (St. James) bested favorite Zechariah Blake (John Curtis) in the boys' shot put with a throw of 50'0.75". Reginald King (Scotlandville) won long jump in 20'11" and Stephen Rogers (Ruston) won the triple jump with a mark of 43'04" on his last attempt after running the 60m dash. Cameron Aime (Maurepas) lived up to the hype and won the pole vault with a jump of 15'5.75". On the girls' side, Cameron Martinez (Jennings) outdueled favorites Gaby Bird (Fontainbleau) and Johanna Duplantis (Lafayette) to win the pole vault in 11'05.75". Amy Warren (Belle Chase) won the triple jump with a 37'00.75" leap. The sprints were fast and furious as Kam Jackson (West Feliciana) took the boys 60m dash in 6.94 seconds. In the boys 60m hurdles, Deanthony Coleman (Carver Montgomery) ran away with a 7.92 second finals. Kayshon Boutte (Westgate) won the boys 400m dash with a 50.49. Jacob D'Aleo (South Walton) edged out Londyn Roberts (New Iberia) in the boys 800m with both finishing in 2:01.87. In the girls' sprints, we saw one of the fastest times in the nation posted as Jacious Sears (Fast Lane Track Club) won both the 60m dash and hurdles in 7.53 and 7.59 seconds respectively. In the distance races, the boys 1600m held true to form with Collin Hedges (Catholic High) barely beating ULL commit Samuel Avants (ED White). Benjamin Bone (St Martins) came in third. In the 3200m, Marshall Buhler (Fontainbleau) took control a little over 1600m into the race to claim the victory over Christopher Cuntz (Catholic High) and Samuel Avants (ED White). The girls 1600m was all Mary Nusloch (Sacred Heart). She cruised to a victory in 5:19.67 and looked very comfortable doing it. The girls 3200m saw teammates Isabelle Brown (St Josephs) and Lauren Hendry (St Josephs) race down the stretch with Brown taking the victory. The LSU High School Classic was a good opening meet. We saw a lot of relay teams get a feel for how they want to approach this year and saw some nice individual marks set to open the 2019 season. Next up will be the first McNeese Indoor meet on January 12th and then the LSU High School Qualifier on January 19th. Stay tuned to see where the season takes us!